There are so many ways that the trumpet is being approached today, from super straight-ahead to modern to more of an ECM, European thing. These artists are all trumpeters who continue to be creative even if they’re not always in the spotlight. A lot of them are players I’ve known since before they moved to New York, before we had record contracts; we were on the scene at the same jam sessions and things like that. What strikes me first is their sound, of course, but also their conviction and spirituality. It’s been really interesting to see how much he’s evolved as an artist over the last few years. I first heard of him when I was in high school. He was at Berklee and [saxophonist] Dayna Stephens brought me a bootleg of him; Avishai was maybe 19 and he was amazing then. Now he’s focusing more on composition. This track is a development of what I first heard him doing. He’s creating these beautiful melodies where you have this big shape at the end. This song, from beginning to end, was one of my favorites for a very long time. The vocalist here, Carolyn Perteete, I don’t know too well, but the way she sings the melody is so stark that it’s beautiful. There are subtle embellishments, and I love that Sean doesn’t play anything behind her. His solo comes in, and he’s at the top part of the horn’s range and he continues where she left off. 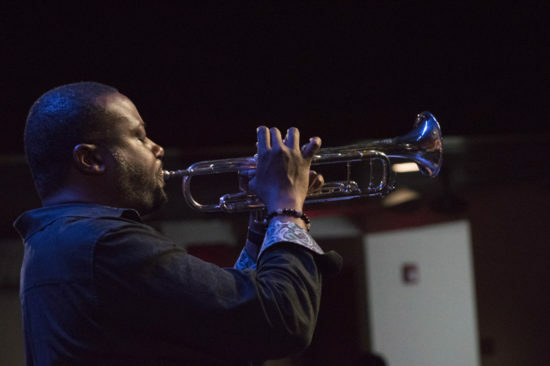 It’s one of the better performances from a modern trumpet player with a vocalist. I met Christian when I was in high school and he came to [the Bay Area] with Donald Harrison. The reason I chose this is the arc. This is from one of his recent albums: I remember having conversations with Christian [a long time ago] about what he was going to do, and he definitely has done that. She fits under the umbrella of this new/old thing of trad-jazz. She’s an amazing trumpet player. When I heard this album I loved that her vocals were just as amazing. Her sound is super melodic and super brilliant. I love her phrasing of the melodies—the same way Louis Armstrong’s phrasing with his voice matched the phrasing on his trumpet. I went to Manhattan School of Music with Philip. He plays a lot in New York and did the Monk competition with me. He’s one of the guys who, when I was in college, I would hear and then go spend an extra hour or two practicing. He still keeps me inspired. I love the way this song builds. He starts off with the rhythmic part and fills in the melody, which is a really big statement. Marquis sounds like Chicago! I love that he really is himself. He doesn’t try to prove himself; he’s just about making music. I love the camaraderie the Chicago cats have—there’s a long history of that—and I think you can hear that on this track. We’ve known each other since sixth grade. We had a lot of the same mentors and were in Steve Coleman’s band at the same time. Compositionally, this piece is amazing to me. If I had to pick my favorite trumpet CD of last year, this would easily be number one. It’s one of the few examples of a trumpet-led quartet where you feel you’re not missing any instruments. Shane has a way of dealing with the music in which he doesn’t bog you down with his technique. I first heard Adam when I was picking the trumpet section for an all-star band at the Monterey Jazz Festival. For one thing, I just love the title of this track—as serious as his music is, he maintains the humor. Adam has such vision and a high level of curiosity. I knew him from Boston, where he has a regular gig at Wally’s Cafe. Jason has checked out everything and digested it and come up with a vocabulary and language that you only hear coming out of his horn. This track represents that; you can hear it in the composition. Peter is just a freak, man. This is the thing that you put on when you just want to shake your head and contemplate quitting the trumpet. 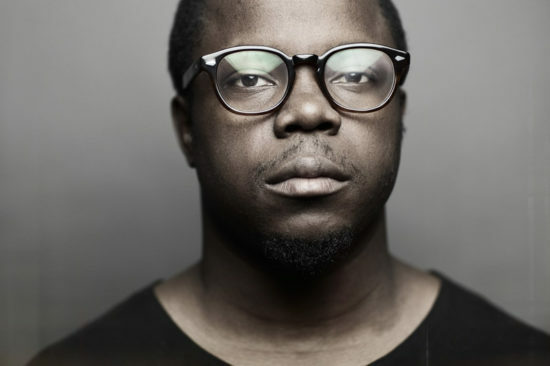 California-born Ambrose Akinmusire is a trumpeter and composer who has won the Thelonious Monk International Jazz Competition and received a Doris Duke Impact Award. His most recent release is A Rift in Decorum: Live at the Village Vanguard (Blue Note).